I have been on the hunt for some magic medicine that I can get in the UK! I realised that I needed to try and continue the supportive nutritional IV’s as my whole body is under so much physical stress due to the high infection load that I still have. I have purposefully waited to talk about this clinic online as I wanted to trial run them first before I go dishing out ‘their amazing go and get hooked up!’ Speech to other Lyme sufferers! When leaving America and I really noticed for me personally how the nutrient IV’s really have helped especially with immune system boosting, increase in energy and mental clarity and more importantly with detoxing because of my genetics make up. There is no way with the current medical guidelines here in the UK that there would be a clinic that would offer me all of what the Californian clinic does hence the reason why I went there in the first place, but to have access to at lease one treatment is surely better than none. After much research I came across a medical clinic in London. First and foremost this is advertised and aimed at Cancer patients, but the nutritional medicine that both Lyme and Cancer suffers require has its similarities. I rang up and spoke to the secretary and she was informative and knew enough to explain the different treatments available and explained that I would need to book a new patient consultation with the doctor prior to having any treatment. Last week I had this and I was really pleased with his attitude towards the illness and his understanding for my need to continue this supportive treatment to help my recovery. Before I carry on please let me tell you that this Doctor is fully qualified but is NOT nor claims to be a Lyme Literate Doctor. This individual is honest and professional and was able to share with me their understanding of my illness. They have worked at reputable London hospitals and with some top specialists, and has a good general knowledge of Lyme and Co-infections and is also aware of the in-accuracy of the current Lyme tests available here in he UK. This doctor continues to work closely with other practitioners, many of which have particular interest in Lyme Disease and therefore he has a greater understanding of this than many other Doctors. I made sure the doctor had my full medical history and notes, so is fully aware of all the treatments I’ve previously had and can have a good understanding of what these are and how they work. As mentioned previously this doctor consults mostly with cancer patients and therefore is used to administering high dose Vitamin C. He does not so much advertise as an ‘IV clinic’ nor as a Lyme doctor, but is willing to work with Lyme patients and has done with many before at this clinic. For any Lyme sufferers reading this, I would recommend this clinic to you if you are already under a Lyme Specialist and you need to continue supportive treatment which can’t be found easily in he UK. I do feel it’s important to have that knowledge and guidance from your Lyme Doctor, as this illness is is complex and at least they are familiar for what you as am individual requires and can correspond form a distance, with yourself or additional medical professionals. I have now begun having infusions at this clinic. This included IV Myers, high dose Vitamin C, B-Complex, etc.. Some of you may be familiar with this nutrient cocktail. At this centre I am also able to receive an intravenous push of Glutathione. This plays a key role in the antioxidant defence, something I must pay particular attention to. The journey is almost two hours each way and I travel by taking 2 trains and a bus. This may seem like a breeze for many but when you feel so physically exhausted its really tough to find the stamina. Personally though it’s so beneficial and to my current protocol that I am keen to try and continue to have these every week or fortnight. There will become a time where I will need to space them out, hopefully as I start to get stronger but all also realistically as funds are getting very limited now! 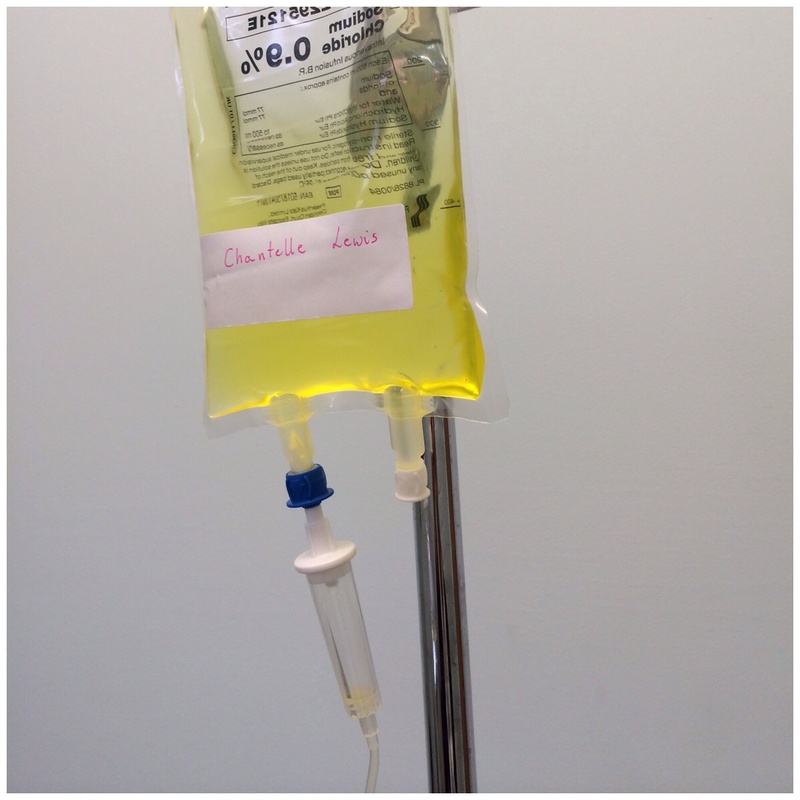 Next Post The £20,000 Tick Bite… and the rest!